Introducing a faster way to pay in St. Louis. 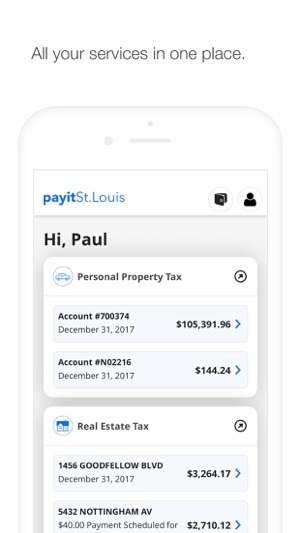 From Water & Refuse bills to Personal Property & Real Estate Tax payments, get the official City of St. Louis Collector of Revenue app and pay with a tap. - Avoid the lines and the wait! 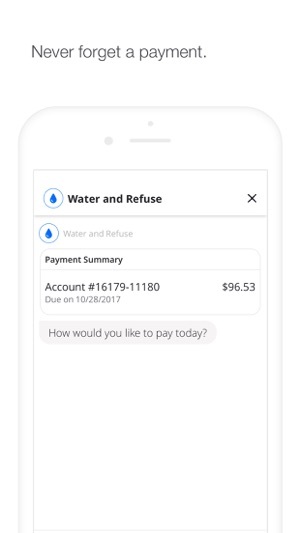 Just link your water and tax accounts from within the app to get started. 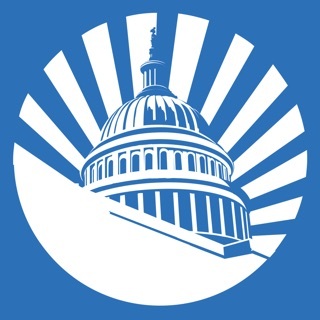 View bills, manage your payment methods, access receipts - and so much more - all from the app. So basically I can’t use this useless app because when I tried to sign up with email it said I already had an account. OK so I requested a password reset link. A few times. Guess what? 10 minutes later I still don’t have the link. Checked spam folder. So I’m locked out of my account and can’t pay my tax bill. Never got it in the mail either. Had to call and give someone at their janky office my social so that they could tell me how to pay my bill by phone. 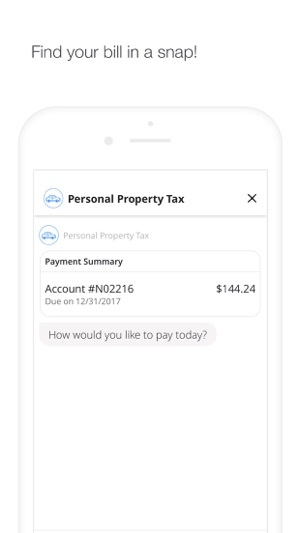 Maybe make this app work before relying on it for your tax collection. 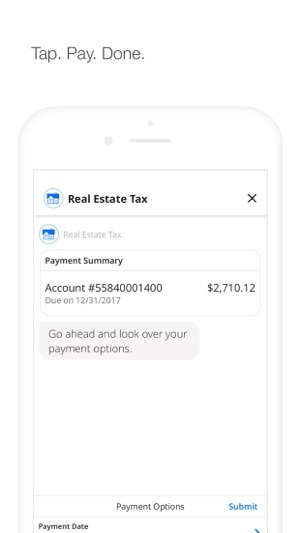 Not updated for latest iphone but very convenient and simple and provides you with phone numbers for any questions on that bill. Worked well. EASIEST APP TO PAY WITH.... EVER!!! I cannot believe how easy it is to lay your bills... I wish every company did this.. it would make things a lot easier.